We’re a family run business supplying a comprehensive range of Internal Window Blinds & Coverings to Blind Retailers, Interior Designers and those sub-contracting to the commercial sector. We serve customers all over the UK and Ireland from our South Wales factory, focusing on our quality control and fast turnaround. As a team, we’re passionate about delivering exceptional customer service: we make buying blinds enjoyable. Shopsteel is a sheet metal and stainless steel fabrication company with years of extensive experience in the metal fabrication industry. Shopsteel stainless steel and sheel metal fabricators are experts in what they do and always strive for quality work at best prices. Welcome to 365 Curtains, our friendly customer service team are waiting to help. 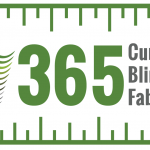 At 365 Curtains the customer is our prioity, with over 40 years experience of custom making, made to measure curtains we can guarantee that you will be pleased with our curtains. Quality is our top priority, our curtains are made by experienced seamstresses and quality checked before they leave our store. 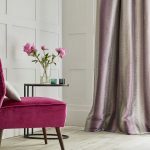 The 365 Curtains team are passionate about fabrics and have selected a wide range of on trend curtain fabrics, from leading curtain fabric suppliers Ashley Wilde, Prestigious, ILiv, Belfield and Texcraft. Choose from plain and textured curtain and upholstery fabrics , bold colours and contemporary designs or subtle classical materials. We can forward free samples of curtain and upholstery fabrics to help you make an informed decision on which of our fabrics would be most suitable for you. We have endeavoured to make the process of shopping for curtains on – line as easy as possible, with 3 steps to ordering your custom made curtains. Our curtain experts are waiting to help and can offer advice on colours, styles and textures. Our customer service team can guide you through the ordering process or accept your order by telephone. 365 Curtains offer an enormous range of ready made curtains with pencil pleat or eyelet headings. The ready made curtain range offers many colours and textures, most curtains are lined, or black out lined. SLX ready made curtains are interlined. We can offer curtain tracks and wooden curtain poles or metal curtain poles. With all ready made goods purchased on line, we offer a 7 day approval service. 365 Curtains also offers exciting bed linen ranges, Kylie Minogue, Accessorize, Kirstie Allsopp, Lotta Jansdotter, are available to buy online. The Kylie Minogue at home range is a beautiful story of ready made curtains, duvet covers, runners and cushions. 365 Curtains offer a world wide delivery service. Based in Belfast, 365 Curtains is part of The Spinning Wheel group. The Spinning Wheel shops trade on the high street in Belfast and are a popular store supplying, curtain fabrics, dress fabrics and household textiles. We are a highly professional company whose main aim is to please our client . 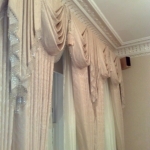 Whether one pair of curtains is required or one hundred pairs If our client is happy then so are we . 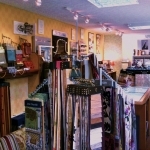 A personal, friendly service for beautiful made-to-measure curtains, blinds and all soft furnishing accessories. Visits and estimates are free in Herefordshire and Worcestershire. 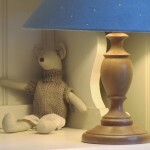 Lovely fabrics and a range of tracks and poles available to order, lamps and shades, painted furniture. 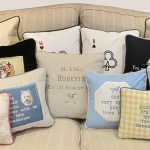 Based in The Hop Pocket Craft Centre in rural Herefordshire near Ledbury – easy to find, plenty of parking, numerous other shopping outlets available under one roof. 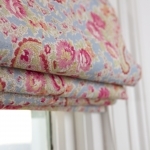 Curtain and blind maker offering an exclusive, bespoke service. 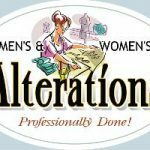 Working primarily in the private, residential market both directly with clients as well as with Interior Decorators and Contractors. Project management from design inception through to completion of works. No job is too small and we offer a made to measure service from just one blind to a whole house full of curtains and matching accessories. 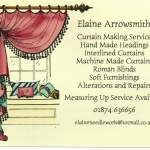 Lincoln’s oldest and most respected curtains and blind specialist. 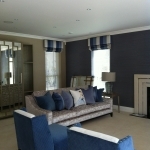 Offering a complete measuring advice and fitting service for all aspects of dressing windows. Contract and domestic work undertaken. Suppliers of all leading brands inc. Colefax & Fowler, Jane Churchill, Osborne & Little, Nina Campbell, jab, Chivasso, Carlucci, Manuel Canovas, Pierre Frey, Chess, G P & J Baker, Baker Lifestyle, Mulberry and others. We also hold accounts with Luxaflex, NV Blinds, Silent Gliss, Byron & Byron, Bradley, Hallis Hudson etc. Wallcoverings, paints and upholstery are also on our list of services. We are a small, family run Business specialising in Traditional Upholstery although we can also complete modern Upholstery such as three piece suites. No project is too large or too small. We have done a lot of Contract work recently including The Petwood Hotel, The Lincoln Hotel, The White Horse at Dunston Fen and the Officers’ Mess at RAF Waddington. We will always come out to give a no-obligation quote in the Lincoln Area. We are based at Nocton very near Lincoln. 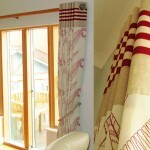 We also make up hand made curtains and Roman Blinds. Our owner and Head Tutor also teaches Traditional Upholstery in various locations in the Lincoln Area. We run weekly classes and weekend Courses. There are also Courses in Re-caning and Sewing. We also demonstrate Traditional Upholstery at the Lincolnshire Show and the Game and Country Show at Sandringham. 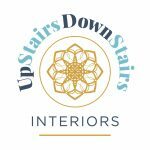 We offer a personnel, professional and friendly service and can cover all of home furnishings needs from Interior Design to fitting. We have a growing selection of fabrics to choose from and we will always go that extra mile to find the right one for you and your budget. If you need help with design, we can do it. 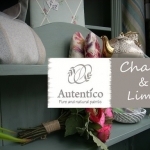 If you need beautifully hand sewn curtains, we can do it and if it’s sourcing a piece of furniture that might then need painting, we can do that too in beautiful Autentico Chalk and Lime paints. Order Blinds offer a range of made to measure blinds available to order online. 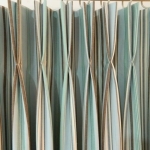 The collection includes a unique range of roller blind fabrics; wood venetian blinds; aluminium blinds; roman blinds and skylight blinds to name a few. Why not browse our website today? Crystal Blinds is a leading Nottinghamshire blinds company supplying and installing bespoke window blinds, window shutters, awnings and canopies to the homes and businesses of the region. As a specialist window blinds company, Crystal Blinds offer a broad range of beautiful blinds including roman blinds, venetian blinds, vertical blinds, vision blinds, wooden blinds, pleated blinds, awning and canopies to complement all home and business designs. Our highly skilled team have years of experience and can install all our blinds to the highest standards. 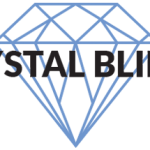 With many designs to chose from, whatever the style, budget or colour required, Crystal blinds will have the perfect fit for your needs. Our showroom in Mapperly displays all our designs and we are open Monday to Friday 9AM to 5.30PM. We offer free home visits. 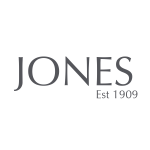 Welcome to Jones Interiors, where we offer a friendly and helpful service supplying products to the Professional Soft Furnisher & Interior Designer. We aspire to provide quality soft furnishing products at excellent value. 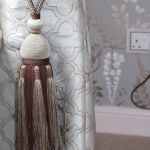 Supplying a wide range of Tiebacks & Trimmings, bespoke handmade Curtain Poles from right here in Nottingham, Rods, Decorative Accessories, Fabric Collections – now including R Sopers fabrics, Tracks, Blinds, Eyelets, Workroom Accessories & Linings. As new developments continue we strive to provide you the customer with the service you would expect. We now offer an even wider range of products at extremely competitive prices and hope by delivering the right product at the right price we allow you to maximise your profits. Jones Interiors not only present quality and value, but also offer a reliable delivery service and welcome you to come and view your website or Facebook page to have a look at our products for yourselves. 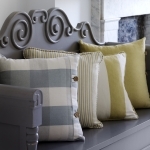 Please Note: We only sell products to soft furnishing trade accounts. If you would like to open an account you can download an application form from our website. 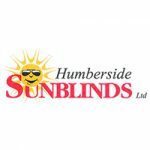 Jones Interiors is part of Jones & Co (Nottingham) Ltd.
Humberside Sunblinds Ltd are one of the leading blind suppliers and installers in Humberside and Lincolnshire, providing a first rate service to the whole of the region. With a huge range of pleated, vertical, roller, blackout, Venetian, wooden and roller blinds available, alongside a selection of awnings and canopies, you’re sure to find the right made to measure blind for you at Humberside Sunblinds. 4ID Interiors specialise in feature & designer wallpapers & fabrics, interior design accessories & our own brand of fringe / string curtains. We are approved stockists to many fabric design houses, we also offer a made to measure service for curtains & soft furnishings. 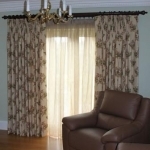 We offer a professional made to measure service for curtains and soft furnishings. Our work shop provides a hand finished product where quality is the most important factor in the manufacturing process. We will visit you in your home in Hull & East Yorkshire. 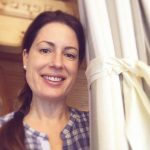 Offering free curtain design advice and bringing the fabric books to you. We will assist you in creating the latest schemes in your home. We also offer a delivery service all over the UK, if you have an enquiry about our range of services please feel free to contact us. 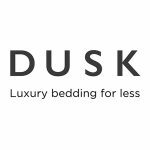 Dusk offers best quality products of home decor items like luxury bedding sets, queen/king bed sheet set, decorative pillow covers, cushions and throws, bedroom cushions, linen duvet cover and luxury mattress topper. If you are considering buying the incredible bed sheet designs online, Dusk is the right place for that. We believe in making your procurements experience an unconditional delight and for that, we have plentiful payment options that assure safety in your transactions.